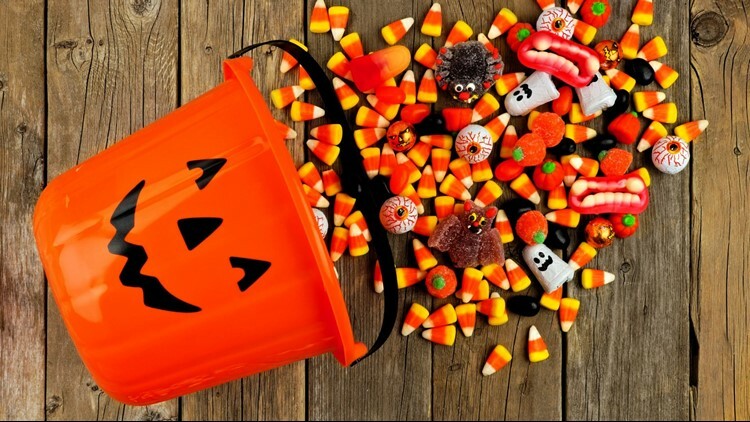 Halloween candy: It’s been haunting you from every cubicle for weeks, and now it’s littered across your house thanks to your little goblins’ trick-or-treating efforts. In America, sugar is everywhere. From the candy bars we hand out at holidays to the sodas, fruit juices, and sports drinks we consume on a daily basis. It’s no wonder studies show that the average American consumes 160 pounds of sugar each year. Eating an excessive amount of added sugar can increase triglyceride levels, heighten the risk of heart disease, cause inflammation, and contribute to obesity and diabetes. Worse, many Americans are addicted: sugar induces the same responses in the reward center of the brain as nicotine, cocaine, heroin and alcohol. So what can be done to fight this growing epidemic? Tramsform your diet. The first and most important step toward limiting your sugar intake is becoming aware of your diet. Eating too many calories from carbohydrates will typically cause blood sugar fluctuations. When that happens, your body produces extra insulin to clear away the glucose rush that eating carbs can cause. While this is a normal for some, people with Type 2 diabetes are likely to have their pancreas overcompensate. When this happens, too much insulin can pour out, causing blood sugar to dip — sometimes to dangerously low levels. This is known as hypoglycemia. Avoiding low-quality carbohydrates from junk food and processed foods can make a big difference in getting your blood sugar under control. If you’re a diet soda drinker, stop drinking them altogether. Diet sodas are as ineffective for promoting weight loss as regular sodas, and they cause the stimulation of sweet taste receptors, increasing appetite and stimulating secretion of gut hormones. That’s a lose-lose-lose scenario. Instead, choose nutrient-rich, gut-healthy foods packed with prebiotics and probiotics. The combination of prebiotics and probiotics can help get your microbiome into a healthy balance, with a good diversity of intestinal bacteria in your gut. When you have plenty of good bacteria, the harmful ones get crowded out and have a much harder time making you sick. Your digestion improves because your ability to absorb macronutrients and micronutrients is better when your beneficial bacteria are diverse and balanced. To incorporate prebiotics into your diet, choose plant-based foods that contain prebiotic fibers such as asparagus, cabbage, garlic, Jerusalem artichokes, onions, unripe bananas, cashews, pistachios, lentils, and chickpeas. For probiotics, choose cottage cheese, kimchi, yogurt, kombucha, and fermented cheeses. Other foods that positively impact your health include: avocado, wild salmon, broccoli, blueberries, walnuts, and turmeric. Focus on getting more exercise. For most healthy adults, the Department of Health and Human Services recommends getting at least 150 minutes of moderate aerobic activity or 75 minutes of vigorous aerobic activity per week. You can break up these figures into manageable chunks of time across the course of the week. For example, one hour of running or five miles of walking burns more than 250 calories and 16 tablespoons of sugar. Can’t fit in one 60-minute run during your day? Try three 20-minute runs per day instead, then do that three times a week. Making regular physical activity part of your lifestyle will greatly help the effects of consuming too much sugar and managing your blood sugar levels. Augment your diet with natural supplements. If you’re closely watching your diet to limit sugar intake and getting the recommended amount of weekly exercise, yet still having problems lowering your blood sugar levels, you might want to consider adding natural supplements to your diet. • Cinnamon is a traditional remedy for lowering blood sugar, backed by scientific support. In particular, the cinnamaldehyde found in cinnamon bark can help lower fasting blood glucose. Look for supplements that contain ground cinnamon or cinnamon extract. Do not, however, incorporate cinnamon-flavored desserts or other sugar-laden foods like cereals to introduce cinnamon into your diet. The added sugar in these foods will overwhelmingly negate any positive impact you’d gain from the cinnamon. • Oligonol — a patented extract derived from lychee fruit and green tea — is a powerful antioxidant with excellent absorption. In lab tests, oligonol helps improve insulin resistance in skeletal muscles, helps prevent liver damage from diabetes, and helps prevent the muscle loss that diabetes may cause. Research also shows that oligonol is effective for reducing blood glucose and blood lipid levels after a meal. If your blood sugar tends to spike and then crash soon after eating, taking oligonol with meals may help break this dangerous cycle and give you better overall control. • Bitter melon — also known as bitter gourd, karela, or balsam apple — has been extensively studied for its glucose-lowering ability. The fruit contains several substances that help lower blood sugar, including an insulin-like compound known as polypeptide P. To get the benefits of bitter melon, you can eat it, make it into juice, or take supplements containing bitter melon extract. Look for the botanical name Momordica charantia on a supplement’s label. Remember that while supplements can be helpful in controlling your blood sugar, they’re most beneficial when used to augment the combined efforts of eating a better diet, getting more exercise, and avoiding foods containing added sugar altogether. Your good health, now and in the future, depends on limiting the amount of sugar you consume today.